Our lash extensions are semi-permanent and applied individually in relaxing private suites. Our Mink and Siberian mink lashes as well as our Japan silk lashes are highest quality lashes in the market and are completely safe for eyes and contact lenses! You lay on a comfortable motorized massage table with your eyes closed while the lash artist applies your eyelash extensions. The application process is wonderfully relaxing. The Elegance lash & Brow technician will attach one light-weight eyelash extensions to one of natural eyelashes approximately 1mm from eyelid with certified Japanese medical grade adhesive. The stylist will use a proprietary pattern of lengths and widths to develop the desire style. the first full set requires approximately 1.5 to 2.5 hours. 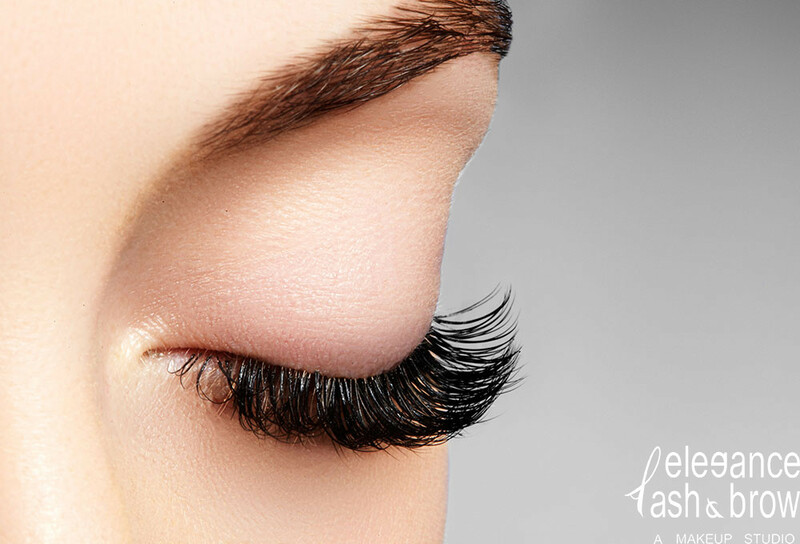 When natural lash sheds, the extension will remain attached to the lash as it falls out. To maintain a full appearance, it is recommended to schedule a refill every 2-4 weeks. Refills can be completed in approximately 40 to 60 minutes. In preparation for any eyelash and eyebrow extension please remove all makeup around your eyes prior to your appointment. New to elegance lash with extensions on!